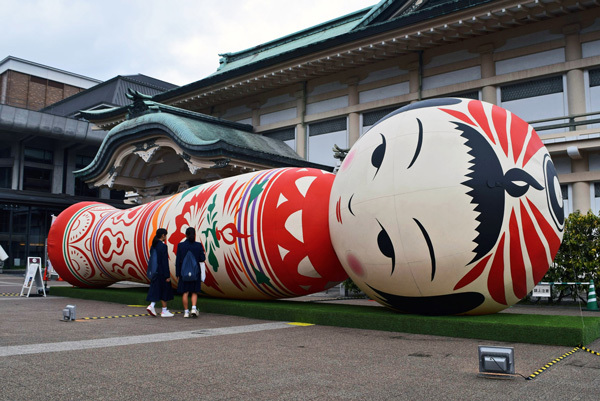 Interest in a gigantic inflatable "kokeshi" Japanese doll ballooned recently on social media when local authorities requested exhibition organizers to display it lying on its side. 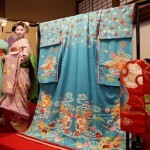 The organizers had originally planned to set up the doll at the ROHM Theatre Kyoto in its usual vertical position but had to lay it down because the venue is within a designated zone of the city that requires special "consideration" be given to avoid anything interfering with the surrounding scenery. The 12-meter tall kokeshi was created by the modern art duo Yotta, comprising Kimitaka Kisaki, a graduate of the Kyoto Institute of Technology, and Hiromichi Yamawaki, a graduate of the Kyoto University of Art and Design. Named Hanako, the female doll was designed based on the shape and traditional decorative patterns of kokeshi from the Tohoku region in northeastern Japan, and even speaks once in a while, telling onlookers that it is hungry. The doll has previously been exhibited in Osaka and other locations across Japan since its unveiling in 2011 but this is the first time it has been forced into a prone position. 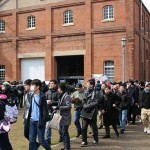 The exhibition was organized by the city and other partners from Feb. 16 as part of the Kyoto Power of Culture Project. 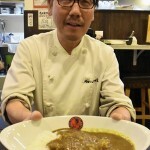 The event aims to promote Kyoto's cultural attractions ahead of the 2020 Tokyo Olympic and Paralympic Games. According to Kyoto municipal officials, the initial plan was to display the kokeshi standing. But during the planning stage, there were requests from within the municipal government that "consideration should be made as much as possible to maintain the surrounding scenery." At first, the doll was displayed in its usual upright stance as the venue required the space due to it expecting large crowds who were finishing the Feb. 17 Kyoto Marathon. It was laid down from Feb. 28. In March, the organizers posted a sign asking visitors to speculate on why the doll is lying down. Exhibition staff have received various comments from visitors guessing that the doll is "probably tired" or "she's probably imitating a reclining Buddha." 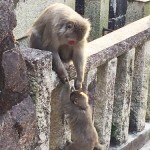 Meanwhile, a Kyoto official said the city's stance is that "We're deliberately not giving out the answer. We want (visitors) to use their imagination." Shuri Obayashi, a 65-year-old visitor from Tokyo, said after passing by the doll, "At first, I thought they were about to pack it up, but then I noticed that it was lying on top of a raised platform and realized that's not the case." "I guess she probably just wants to relax and take it easy," she laughed.